U.S. Sen. Ted Cruz, R-Texas, once a vicious critic of Donald Trump, is allying himself with the president-elect on some key issues shaping the early stages of Trump's transition into the White House. The expressions of solidarity are not entirely shocking — after all, both are Republicans and share a number of common, big-picture goals, even after a presidential primary in which they clashed bitterly. But the episodes make for interesting theater as Cruz finds his political footing following a presidential race that saw his relationship with Trump go on a wild roller coaster ride. The latest episode came Wednesday, when Cruz delivered a Senate floor speech extensively defending Trump's recent phone call with Taiwan's president, Tsai Ing-wen. The call went against decades of diplomatic protocol by the United States, which does not maintain formal ties with Taiwan under the U.S.'s One China policy. Cruz had originally reacted to the call with a tweet calling it an "improvement" over talks with leaders in Cuba and Iran, presumably referring to those that have occurred under President Barack Obama. In the floor speech, however, Cruz went much further, mocking liberal backlash to the call, questioning the modern-day wisdom of the One China policy and hailing Trump's involvement as a sign of leadership. "The liberal foreign policy elites were of course shocked and appalled," Cruz said. "Quelle horreur. The Chinese might not like it. ... I don't think our president-elect needs to clear his phone calls with Beijing." Continuing to stick up for Trump, Cruz spoke with some derision for the United States' One China policy, which former President Jimmy Carter adopted in 1979. Trump's call, Cruz argued, acknowledged a "simple truth: that Taiwan has become an important friend to the United States" even with the 37-year-old policy in place. "Just because a policy is old doesn’t make it sacrosanct," said Cruz, who has previously pushed for closer U.S.-Taiwan relations. "I don’t think anyone here can honestly say our relations with the [People's Republic of China] are so fantastic that we shouldn’t do anything to rock the boat. I don’t think the Carter-era foreign policy was such a success that we should unquestioningly continue it." Going back to the message of his tweet, Cruz added: "I think talking to President Tsai, not President Rouhani, was a material improvement for the national security interests of the United States, and it demonstrates renewed resolve to assume once more the mantle of leadership. That’s enough to make all of us hopeful." Beyond Trump's controversial call, Cruz has responded with only praise to Trump's recent deal to keep a purported 1,000 Carrier jobs in Indiana, a potential preview of how Trump plans to make good on his campaign promises to keep U.S. jobs from going overseas. Some Republicans have balked at the deal because it included economic incentives from the Hoosier State, appearing to run counter to the free-market principles many conservatives — including Cruz — have long preached. "For eight years we've had a president who has refused to stand with the American worker and indeed who has presided over massive new taxes and regulations that have driven jobs overseas and driven down wages," Cruz told The Weekly Standard on Tuesday. "I think the American people are gratified to have an incoming president, an incoming administration, that will fight to keep jobs here in America and reduce the burdens on small businesses and job creators so that we see millions of new high-paying jobs and wages rising across the country." Cruz did not answer a subsequent question from The Weekly Standard about whether the deal represented "crony capitalism." Former Alaska Gov. Sarah Palin, a Trump loyalist, had used the term in an op-ed on the deal published Friday. "Republicans oppose this, remember?" she wrote. As the Trump administration takes shape, Cruz has also given his imprimatur to the president-elect's appointments, saying last month Trump is assembling an "impressive, serious team." Cruz himself may have been briefly under consideration for attorney general, according to a report, though that job ultimately went to U.S. Sen. Jeff Sessions, R-Ala., Trump's first supporter in the Senate. During a visit to McAllen on Friday, Cruz expressed optimism about the potential for a new direction in immigration policy under Trump. Addressing a border security roundtable, Cruz touted how he is already "doing everything I can to work with the new attorney general, likely Jeff Sessions, who I know well and is a good and principled man." "I have long been critical of the enforcement or lack of enforcement of the immigration laws by our current president," Cruz said. "I believe that's going to change." 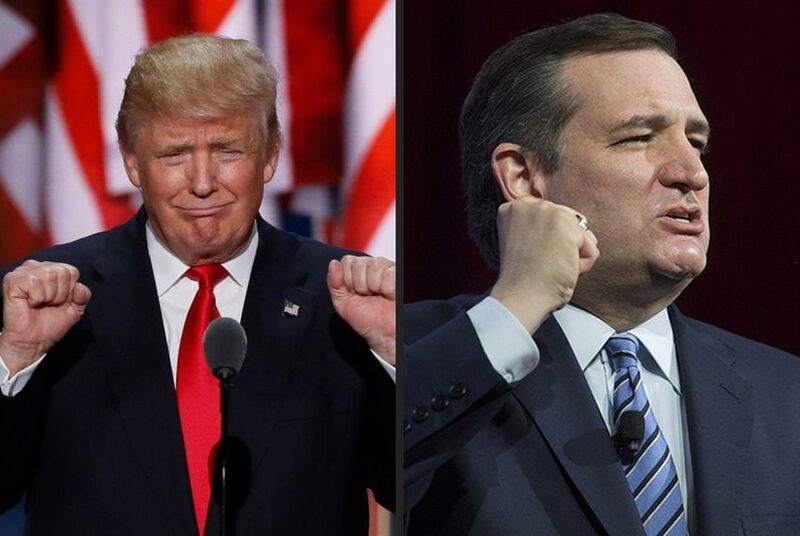 Cruz endorsed Trump in September after a months-long holdout, including a speech at the Republican National Convention in which he pointedly declined to offer his support. U.S. Rep. Michael McCaul, R-Austin, on Wednesday became the latest Texan to get passed over for a job in Trump's administration.